Labels like "tribute" band don't cut it with these people. Powerful, tight bang-on lite-em-up delivery with a real joy in the performance....and that was only the core of 6 total. My wife and I would go see them again anywhere, anytime. One more thing ...I was never a fan of ABBA. Cheers! I just wanted to send a quick note of thanks to you for everything you did to make our party at the Commodore Ballroom a HUGE success. Truly I’ve never seen YEO members take to a dance floor so quickly! Jeanette, everything was just amazing! You all were so fantastic and energetic. As you could tell, our members loved it! I literally stood at the back of the room when you all took the stage and I couldn’t believe my eyes! From the first song to the last, nearly the entire crowd was on their feet tearing up the dance floor (myself included!!) I hope that tells you how much we enjoyed the show. You were such a pleasure to work with and I very much look forward to recommending ABRA-Cadabra to others who may be visiting Vancouver, and to hopefully working together again in the future. 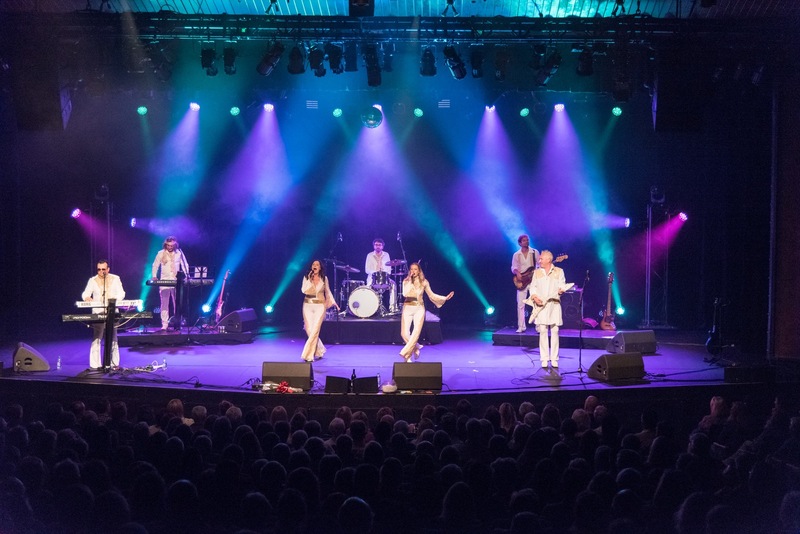 Speaking as a lifetime member of the Official International ABBA Fan Club and as a daily contributor to the official Universal Music ABBA website I was pleasantly surprised by your creative performance at Earl's last night. I had seen you guys perform once before, and I was delighted to find that you were able to touch on the joyous spirit of the early ABBA years. 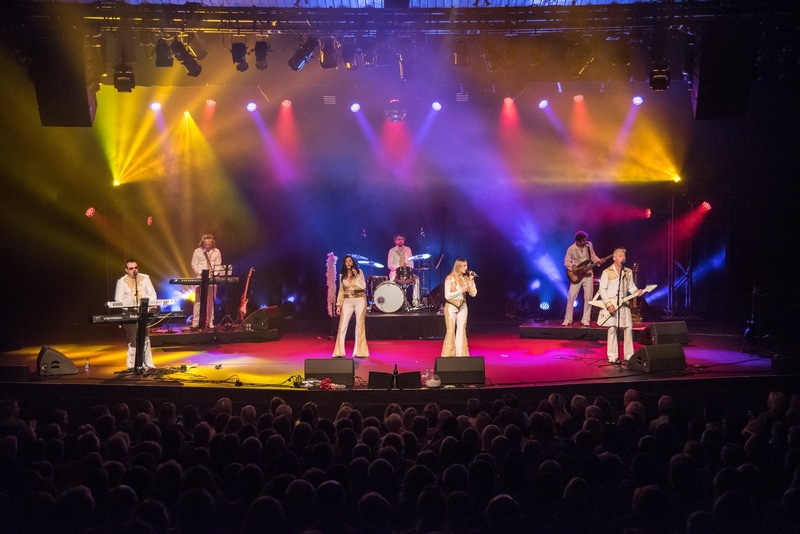 So, even though I am considered an ABBA scholar who normally finds tribute bands way off in their reconstruction of ABBA, I felt I had to tell you that I was moved to find so many people at Earl's last night singing and dancing to your group's homage to the genius that was ABBA. Thank you for keeping their music alive. You're much better than Bjorn Again . It was our best client event so far, thanks to having Abra-Cadabra perform....Clients & Staff loved it!! We hired ABRA-CADABRA to perform for a tourism industry event at Capilano Suspension Bridge and Park. Our eclectic audience included a wide range of ages and tastes. It was a resounding success. 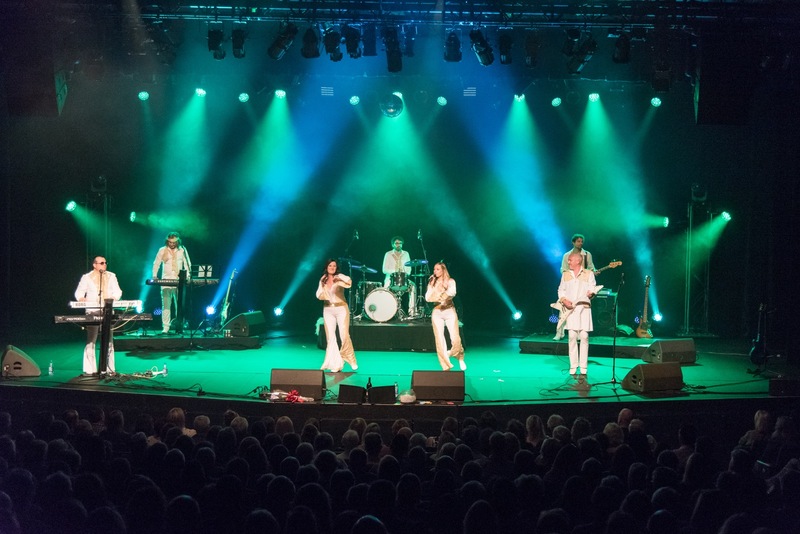 Thanks to ABRA-CADABRA’S great music and performance, guests danced and sang along – totally getting into that 1970’s ABBA experience. We have already booked them for a second event and can’t wait to have them back. I want to express our gratitude to ABRA-CADABRA for contributing to the success of the HSBC Western Branch Managers' Conference. 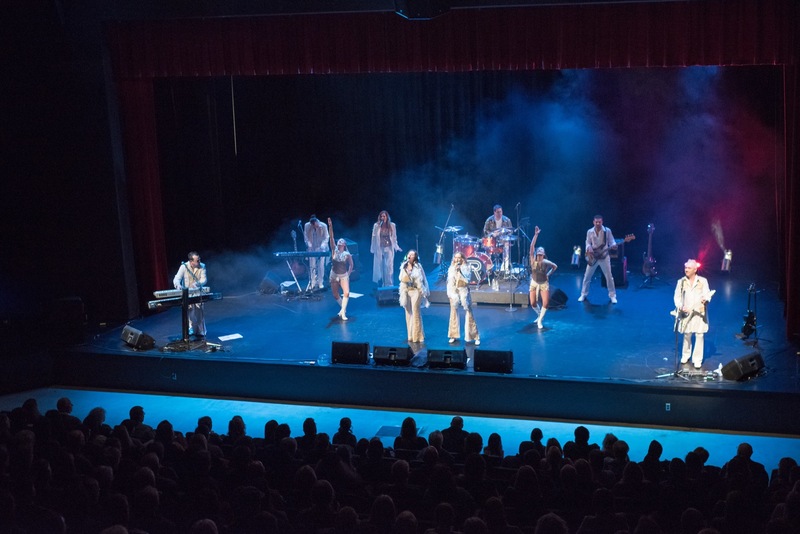 ABBA-CADABRA's performance definitely exceeded my colleagues' expectations which proved to be upbeat, fun, and interactive, having culminated in two spontaneous encores! The latter was above and beyond the "call of duty". We might mention that ABBA-CADABRA was the topic of conversation during the morning coffee break. ALL I CAN SAY IS YOU GUYS WERE ABSOULUTELY AMAZING KEEP up the great work and i love the outfits.. we enjoyed it so much and will recommend you guys to anyone!!!!! A sincere thank you to you and the Abba team for a wonderful evening on May 6! Our group had a great time and they are still talking about it as the best evening and entertainment ever!! Thank you again, and hopefully we’ll be in touch again sometime in the future for another event. On behalf of Stikeman Elliott, I wanted to thank Abra Cadabra for giving us a most entertaining and wonderful evening of performance. It is so nice to see everyone having a great time. I am sure it will be talked about for the next while. Please convey our thanks to the other members of the team. I wish you a very Merry Christmas and Happy New Year ! I, again, would like to tell you how much I enjoyed your performances. We all, the committee and visitors alike, appreciate Abra Cadabra giving the fantastic performances over the two days of the Langley Canada Day celebrations. You are all fantastic. I have heard nothing but very, very positive comments and feed back. Again, thank you very much for being a major part of our Langley CANADA DAY Celebrations and I sure hope we can have you back next year. With my best regards to you and all the members of Abba Cadabra . My Wife Anita and I were at the concert at the Scandinavian Centre yesterday (Saturday June 18), just wanted to say how very much we enjoyed the whole show - absolutely terrific; you people are the consummate professionals...Well done! We are now confirmed ABRA Cadabra boosters...We wish you continued and increased success and wanted to let you know you are appreciated. By the way, you Jeanette are better than Anni Frid ever was. I wanted to thank you again for such a great show at our Christmas Party at the Radisson Hotel in December. I've had numerous emails about how great you guys were and how much fun everyone had. Thanks again for the great show. I've heard talk around the building that employees are planning on attending your show in February at the Croatian Centre. Thanks again ! ABRA-CADABRA thrilled an audience of over 1,300 people who attended this year's Gabriola Lion's Club Concert on the Green with their energetic and lively performance of ABBA's timeless music. It was a magic event that had the young and old alike dancing and swaying to the music right from the beginning to the very end. Quite possibly, this was the best entertainment group that we have had in 13 years. I would like to thank you for making my 55th birthday so special- we absolutely love you all!! Our friends are still calling to thank us for including them in what they called a "spectacular event." You truly went beyond our expectations in personalizing the party and just everything was so much fun. Cheers from addicted Abba fans!!! Just to let you know, we enjoyed your Canada Day show in Langley this year. I've attached a picture taken from way far back in the audience. Your show at Langley Cascades Summit theater was very good too. We hope to see one of your performances again in the future. You guys work very hard to provide an excellent entertainment product. I wish you good success . Congratulations on a super show at the Casino in Langley on Nov. 11. We have been fans of Abba for some time now, and to hear you people sing their songs brought tears to our eyes. I hope we will be able to see the group again soon, maybe in the new year. Abra Cadabra will go a long way in the music field. Again you people are super! Thank you for the music. I really enjoyed your ABBA set. Amazing sound for four people. Well done! Saw you guys tonight at the Langley Cascades.... Great show...You all were so entertaining....and approachable.....So thanks for the music! Loved your show. Four very, very talented people. I would highly recommend people go see them perform. It was well worth the money! We were rocking to the energy of your songs and dance music. Highly recommend to people who want to host or attend a great show/dance event. Thank you for making the trip to Singapore. I had great fun tonight swinging to your music. Hope that this will not be the last time you are coming to Singapore coz the next time you come, I'm bringing my parents along :o) Great job!!! I went to your concert, and it was awesome! Love the songs! I will appreciate it if I could get your records. Thanks! Great job guys! Nice concert @ the esplanade! Your songs were great! I wonder if I could have your records. up Thanks and keep up the great job!!! Hi! im tamilyn ong from singapore.i saw ur concert yesterday at the esplanade on saturday 3rd july 2010. I love ur dance moves on the song dancing queen. Jennete gave me a hi-5.after the song i wanted to hug the dancer. she taught me how to dance and i wanted to hug her.but when i was on stage i forgot all about it.i wish abba could come to singapore again.the same group of people.then i could go watch the performance again.and hug the dancer.well,now i still miss the abba group.and to kylee: i love u! ni am ur biggest fan! Hi! Wong here, Great concert at the Esplanade! I love your Songs and dance moves were great! And Jonas! Your solo song was great! The dancers were cool! Great work and we hope to see you in Singapore in your next Tour! I'll be heading down to Shangri La hotel in a day time and then later to Vancouver!! I hope to hear your beautiful voices Again! Once again you all rocked Gambier and look VERY forward to all the next times. Well done we LOVE LOVE you guys & girls. Gambier Island welcomes you back with open arms. Wonderful night at the Esplanade, Singapore. Abba Cadabra, we enjoyed ourselves very much, thank you!!! Really enjoyed your performance last night at Federico's Supper Club last night - great energy! Really enjoyed your Saturday night show at Tidewaters in Delta!...my friends and I enjoyed your music and the way you interacted with the crowd! Hope to see you there again sometime!